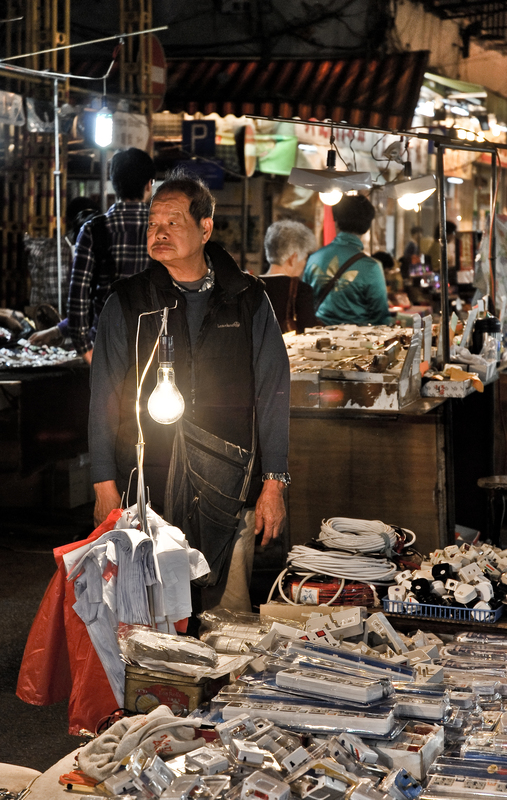 Billy Clarke takes a walk through Kowloon where age old shops, buildings and a culture have stood the test of time, fending off the impeding construction and gentrification that mars Hong Kong. 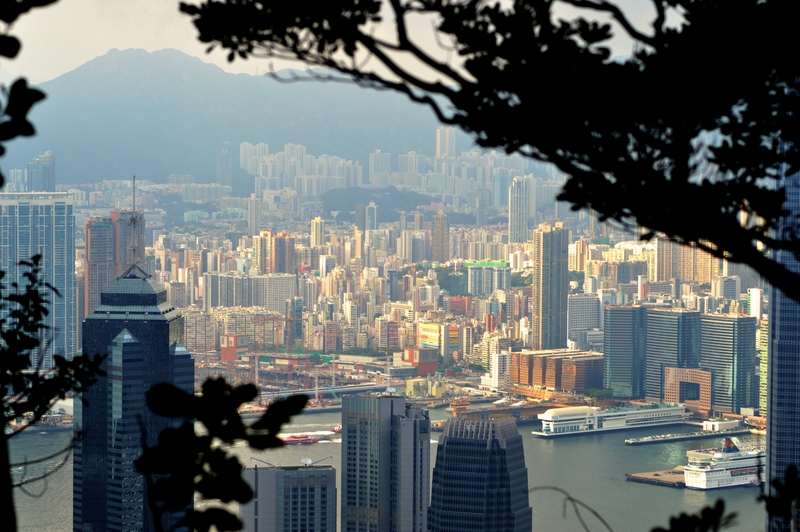 As one of the world’s leading international financial centres, with one of the most traded currencies on the planet and the highest per capita income in the world, culture is not really the first word that springs to mind when one thinks of Hong Kong. But amidst the chameleonic concrete landscape and the tumultuous, yet organized, frenzy that marks the city, long-suffering nuggets of genuine culture seep through, vying for attention like a green-eyed child or a neglected drowning creature struggling for air. Hong Kong is never silent. Even during the dead of night and the wee hours of the morning the hubbub of the street murmurs in the background like a sleeping whale. 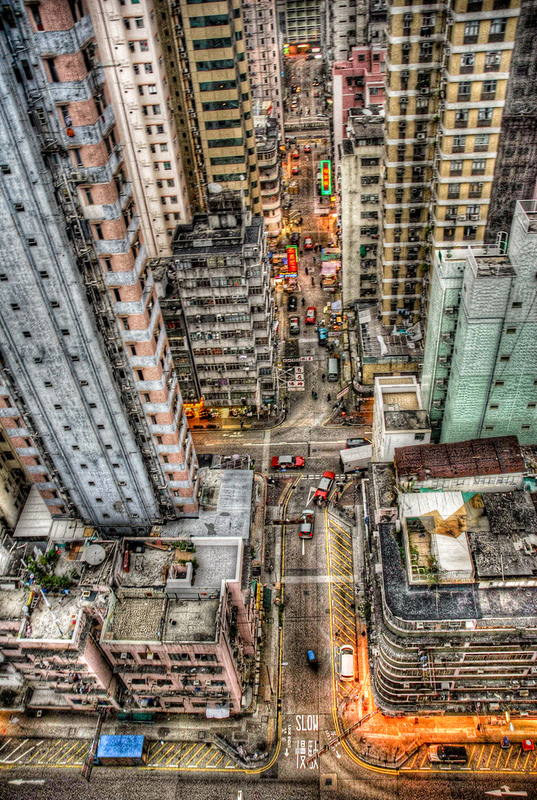 These are the streets that beckon me every morning, and even before I take a step outside the confines of my poky 300 square-foot Kowloon dwelling the city calls to me. It is a powerful call that goes out to many, a call which spells opportunity and hope; a call which above all declares that you will miss something if you don’t get out and about. Like a pounding battle cry, this call is one of the things that keeps Hong Kong going and makes it what it is. Travellers visiting the city often remark about the indefatigable drive and energy here and, while it is not the perfect living environment for everyone, it is undeniably addictive and gratifying. One company that knows this well and has had their hard work paid off for them is G.O.D. (Goods of Desire), a local retro lifestyle design and furniture brand founded by architect DouglasYoung. With his successful company Young has been exploring the cultural heritage of his much-loved home, Hong Kong, for a long time. “I like the fact that it rewards people who work hard. You can’t say that about everywhere in the world. Some places are lazy. 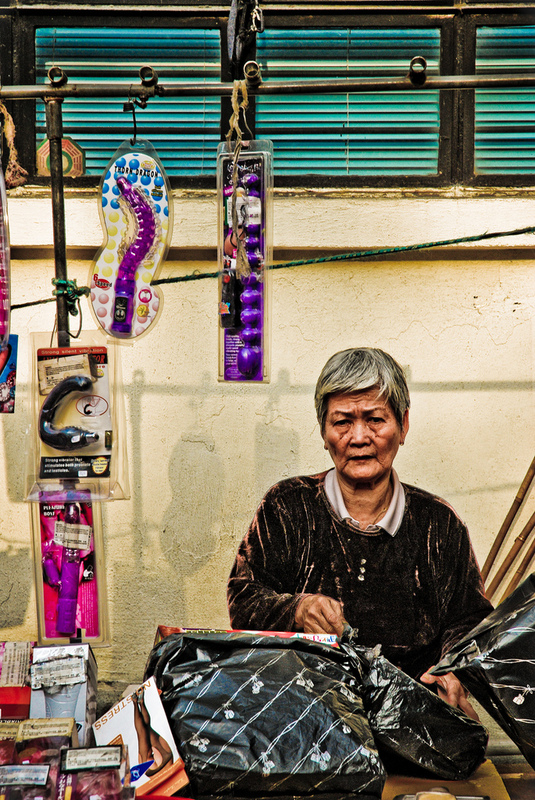 I also think Hong Kong people are optimistic and resilient. It’s a place you can’t sit still; you get pushed along (sometimes literally),” Young comments. 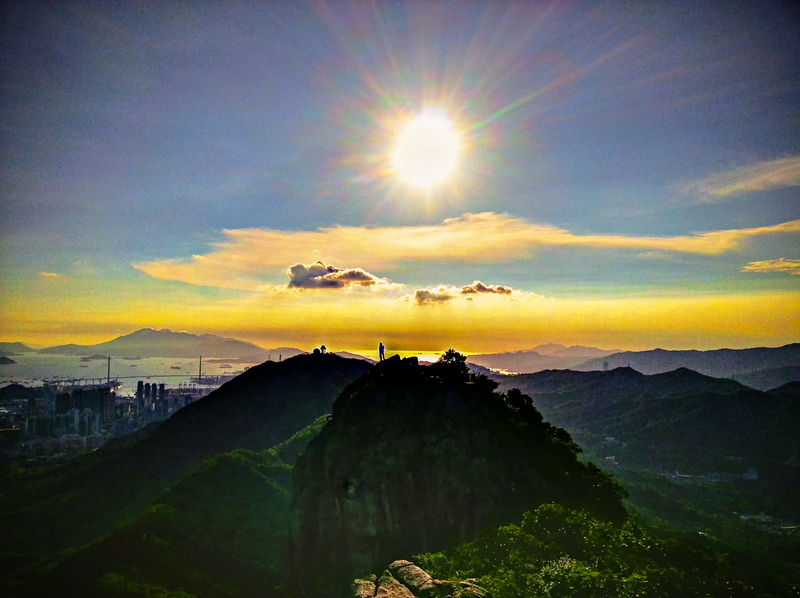 Being in Hong Kongis somewhat akin to watching a good dramatic action movie – everything fits in place, it is enjoyable, fast-paced, hectic, eventful and it is, above all, lively and vibrant. This hypothetical movie would be quite a successful one too as Hong Kong’s unrelenting industrious energy has broken records and earned it a rightful place on the world stage. 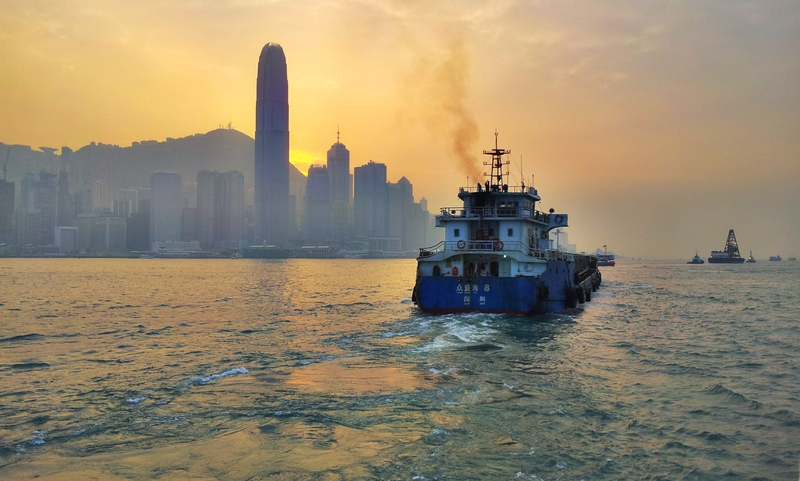 Last month Hong Kong was found to boast the most expensive prime office space in the world – with rates higher than even London and Tokyo – and it also has one of the most active property markets in Asia. It also has more Rolls-Royce cars per person than any other place in the world (engines from the luxury automotive company additionally power two thirds of the legendary Star Ferry fleet of vessels which bobble to and fro across Victoria Harbour every day). To boot, this year the city came out on top as Asia’s wine-drinking capital as well, with the average adult consumption of fermented grapes being the highest in the region (last year the city consumed 39 million bottles of wine). 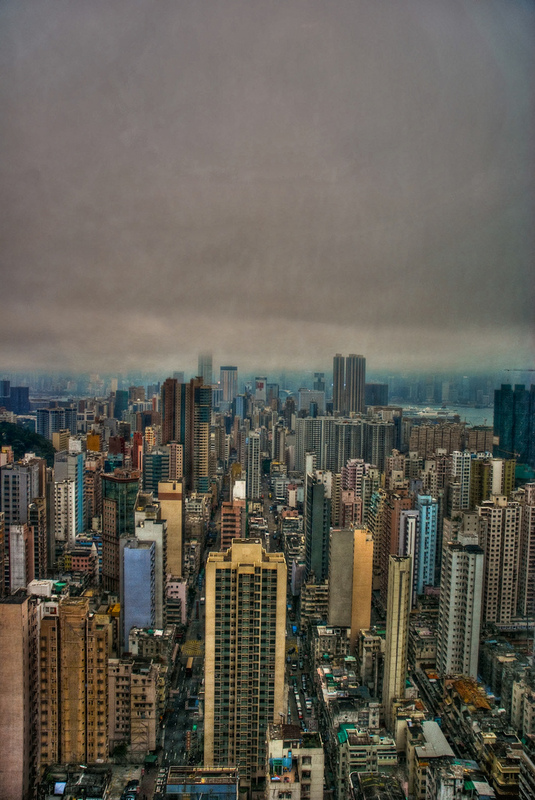 All this, pushed along by Hong Kong’s robust determination and energy. It is this energy which greets me as I hit the ground floor and leave the lobby of my thirty-storey building (it is no surprise thatHong Kongis at the top of the world rankings for skyscrapers above 150-meters). Down on the ground floor things look very different from my twentieth-floor window view. Down here, the city is canyon-like – only instead of water, streams of concrete roads assertively cut a course through the city with towering structures looming on either side. Not all ofHong Kongis like this of course and, in fact, only about 30 per cent of the territory’s landmass is actually developed, withHong Kongactually comprising ofKowloonpeninsula (joined toChina) and 263 islands as well. The largest of these islands isLantauIslandand the second largest isHong Kongisland, which is home to the trademark skyline and home to the central business district that has served as the centre of trade and financial activities from the days of colonial rule. 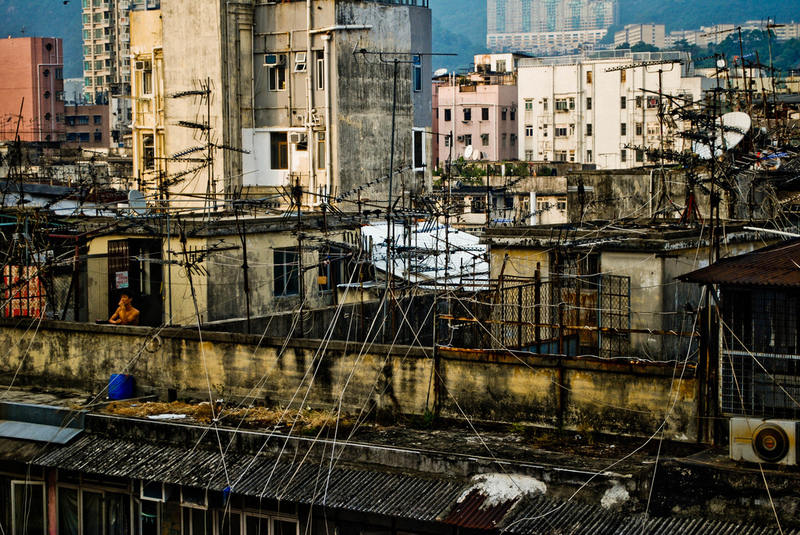 The building I exit from is located in the district of Yau Ma Tei inKowloon, a colourful area full of character that is miles away (figuratively not literally, since it is only actually about 4-kilometres away) from all the corporate glitz and glam of the heavily gentrifiedHong Kongisland. 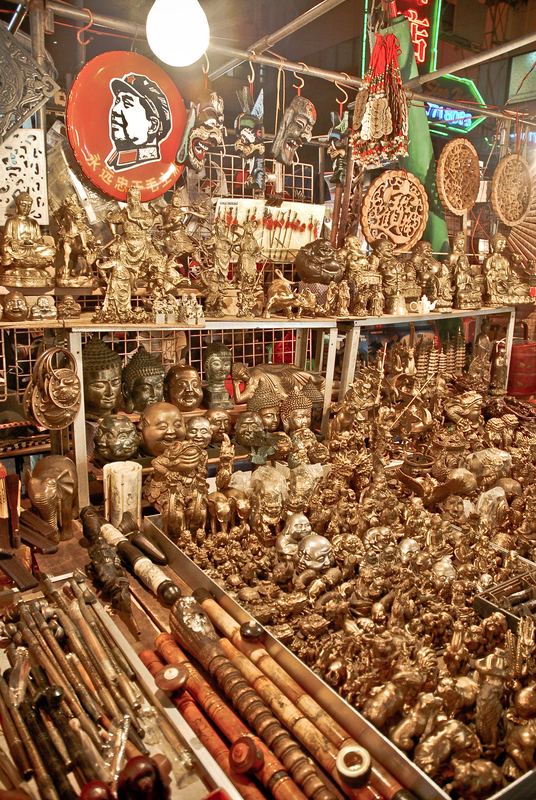 Here, instead of monetary richness the district of Yau Ma Tei boasts cultural richness. It is the kind of neighbourhood that possesses a culture that can only be grown organically over time. 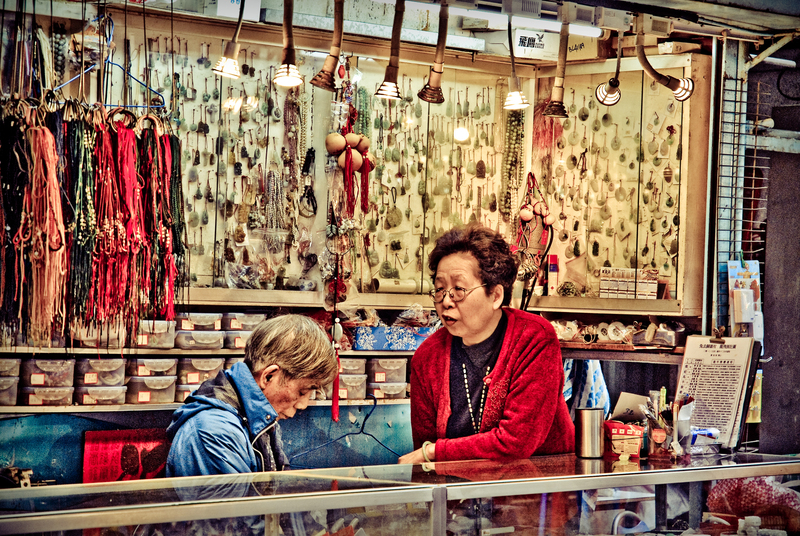 There are some that say the culture of old Hong Kong is dying but it is in fact live and kicking, having simply shifted and found a new space for itself amongst the sky-scraping glass phalluses and modernity. As I walk down the street in search of food I unknowingly experience a hundred years of history in a few footsteps. 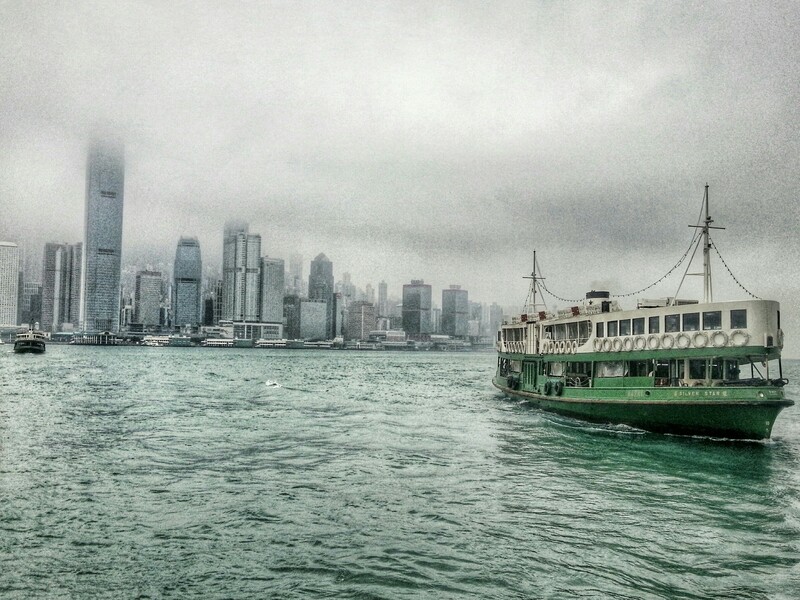 Historically, Yau Ma Tei was once a small village home to indigenous boat people. After a severe typhoon sunk 3,000 fishing boats in 1906 the government constructed the Yau Ma Tei Typhoon Shelter and soon after this the boat people slowly went from fishing to entertainment and catering, and the area became a popular leisure spot nicknamed ‘the people’s night club.’ Today it still is a popular leisure spot and as I wander down the road I pass several outdoor ‘dai pai dong’ restaurants with some of the original ‘typhoon shelter’ dishes still on the menu. Serving up all kinds of fresh sautéed seafood in frill-less surroundings, with seats that overflow from the restaurants onto the surrounding pavements, these restaurants are a popular tourist jaunt and the late Steve Bridges was even spotted here earlier this year (where he was mistaken for George Bush by the local media). Off past the restaurants I slide ontoTemple Streetwhere I see labour workers setting up stalls for the late night open-air market which the area is famous for. In typical space-preservingHong Kongfashion it is a multipurpose mixed-use street. By day it is a normal road open for traffic, but in the afternoon the street is pedestrianised and it metamorphoses into a bustling night market. Like an obese girl who has suddenly become skinny, the transformation is a miraculous one indeed, as hundreds of inventive stalls and carts are set up on either side of the road – all complete with electricity and custom-made canopies. Like any street market, the atmosphere is vivaciously enchanting, but the night-time factor and the crowdedness make this an inimitable experience indeed. Stretching for about a half-a-kilometre of road all the way down are densely packed stalls jam-packed with goods ranging from clothes to mobile phones, to adult toys and even industrial-strength lasers. After the main part of the market the road even opens up to reveal a small Banyan tree-enclosed park and aTinHauTemple, after which the night market is named. Instead of just stalls, around this corner the market takes on a more interesting slant as there are fortune tellers set up in tents and numerous amateur Cantonese opera areas, which loudly blare out discordant melodies and seem to be competing with one another for aural amplitude. Aural attacks aside though, everyone is hospitable in the area and the atmosphere is festively inviting with the market full of life from mid-afternoon to late-evening until, like Cinderella at midnight, the stalls then get taken down folded up and put away. However, the Temple Street Night Market is not what I am looking for this afternoon and I continue my saunter up towards Mong Kok. Like the remnants of the ‘people’s night club,’ there is also a cluster of complementing low-rise historic buildings in Yau Ma Tai serving as testaments of architectural styles from a bygone era, which I pass by on my way. 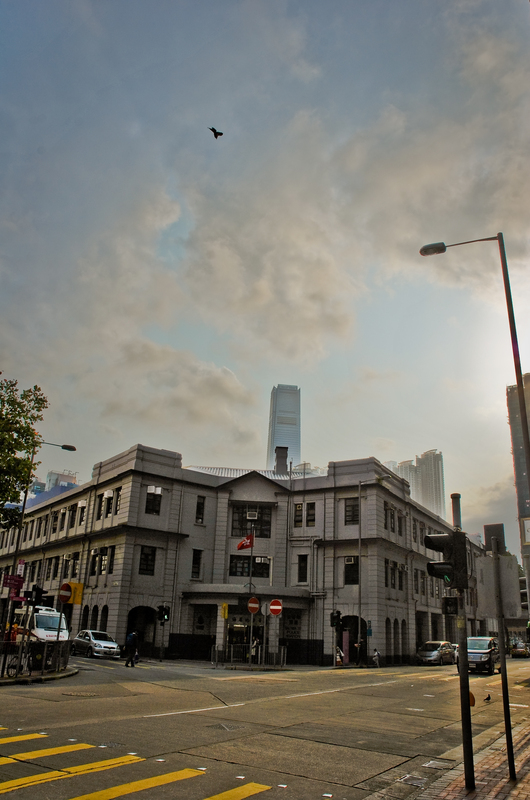 On the corner of Public Square Street there is a three-storey Yau Ma Tei Police Station which is a fine living example of Edwardian architecture, with the grade-three listed 1920s-built structure looking like something out of a classical British television series. Round from here alongReclamation Streetis the Yau Ma Tei Fruit Market which, despite looking like an antiquated (yet eye-catching) slum in the daytime, is a flurry of activity at night when the fresh wholesale deliveries come in. Some parts of the market were built pre-war in 1913, and they have been given a grade-three rating as a historical building as well. One street down from here is also a distinctive red brick structure built in 1895 originally used as a pumping station, and nearby is the recently restored edifice of the Yau Ma Tei Theatre, which is the only theatre inHong Kongdating back to the pre-war period. Being the oldest developed urban area inKowloon, Yau Ma Tei’s collection of historical buildings starts to dwindle out as I get nearer the younger area of Mong Kok where distinctive curved tenements apartment buildings still stand few and far between, but which are under threat from gentrification. Mong Kok borders Yau Ma Tei on one side, while Tsim Sha Tsui stands on the other. Whereas Tsim Sha Tsui has become more of a high-end shopping zone Mong Kok has still managed to retain some more interesting affordable street market areas and, combined with its mix of boutiques and the occasional luxury shop, it is now the retail hub ofKowloon, and it is where I am headed to. Long described as one of the most densely populated spot on the earth, Mong Kok is most definitely not for the claustrophobic. The Guinness World Records once estimated there to be 130’000 people per square kilometre in Mong Kok, which is basically a lot. Being a retail destination the majority of the throng on any given day will most likely be there for the shopping, though some might be there for the food too. The food is what I am seeking on this given day and as I arrive at the busy intersection ofDundas Street, food is what greets me. 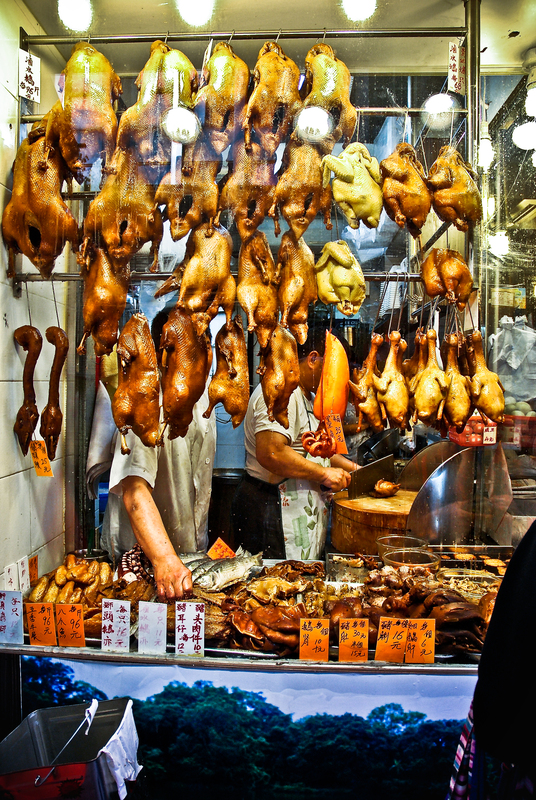 Here – and scattered throughout most of Mong Kok – various food stalls line the streets, like hairs on an arm. 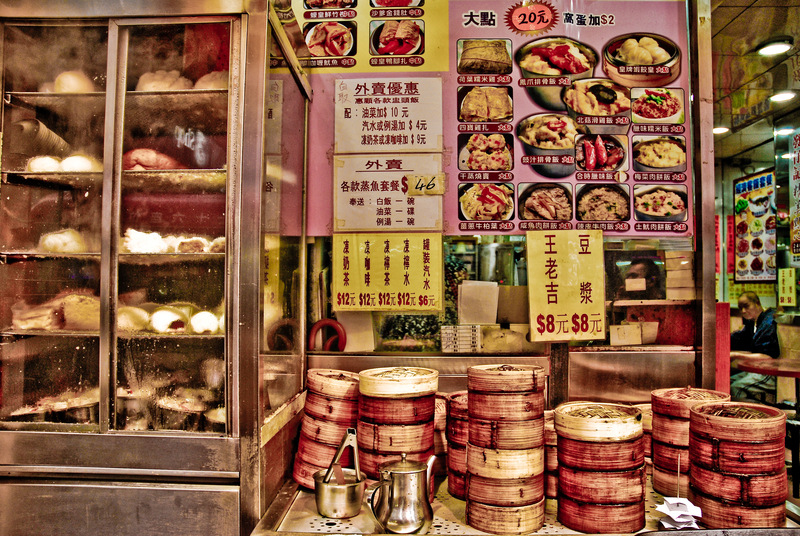 While street food is sometimes best left ignored in some cities, inHong Kongit is best eaten daily. This is because it is just so tasty good, fresh and convenient, and because the simple cooking methods mean that the fare is much healthier than fast food. Recommended are the ‘waffle balls’ (freshly-baked waffle-tasting balls made mainly from egg, sugar and flour); the curried fish balls (boiled globules of fish on a stick commonly served sopping in curry sauce); and theTaiwanbubble tea drinks (milk or non-milk tea with interestingly-textured balls of tapioca/sago inside them). On this occasion I grab a stick of fish balls (perfect for those in a rush) and I continue on down Tung Choi Street, the main strip of Mong Kok lined with gadget and technology stores (there are more mobile phones than people in Hong Kong with the penetration rate of 189 per cent amongst the world’s highest). Many other street-style comfort foods tempt and entice as I continue down Mong Kok, with a cocktail of smells wafting at me from every corner.Hong Konghas always had a passionate obsession for food and, with a long history as an international city of commerce, quality cuisine from all over the world can be found here. With one restaurant for every 600 peopleHong Kongboasts one of the highest per-capita concentrations of cafes and restaurants on earth. 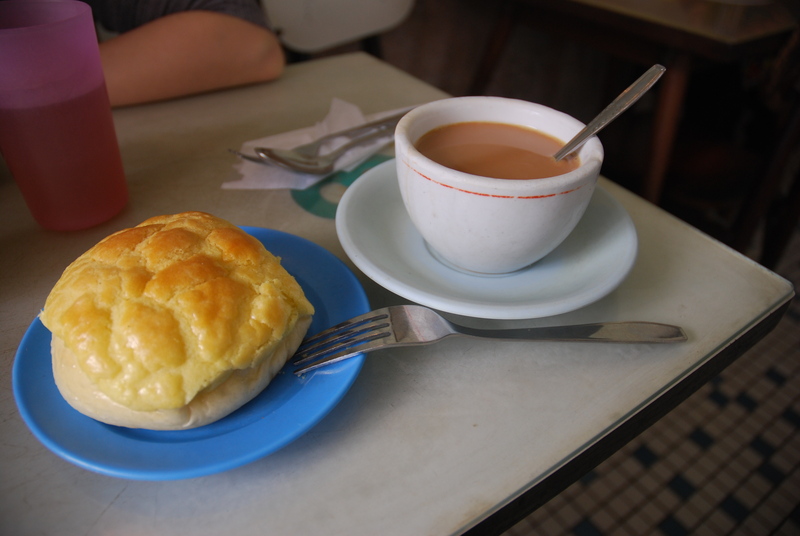 Some of the more classic Hong Kong snacks include items like ‘blood-tofu’ (congealed chunks of pigs’ blood placed into noodles); ‘Hong Kong-style French toast’ (a calorific heart-attack threatening combination of egg-soaked fried bread butter and syrup); ‘egg tarts’ (a variation on British custard tarts filled with an eggier richer filling); ‘char siu baos’ (sweetened barbecued pork stuffed into soft white steamed bun); and ‘milk tea’ (a full-bodied blend of black tea strained through silk nettings and mixed with condensed milk). Ironically, the names of the streets in Mong Kok also happen to be named after food. 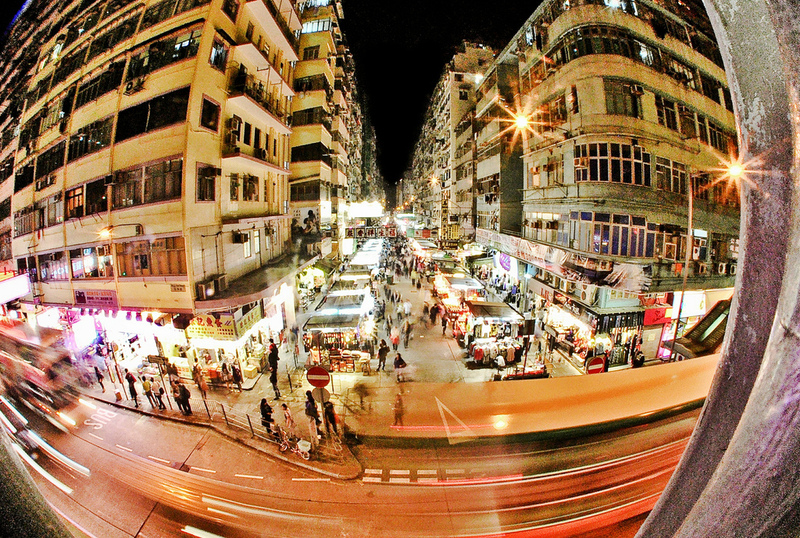 While the district of Yau Ma Tei was originally home to boat people the history of Mong Kok belongs to farmers and merchants. Evidence of this can be found in the street names which includeSai Yeung Choi Street(Watercress Street),Fa Yuen Street(Flower Garden Street),Yuen Po Street(Vegetable Patch Street),Yin Chong Street(Tabacco Factory Street), and many more. As I walk past these streets I also go pass the many outdoor markets which, unlike the Temple Street Night Market, run during the day and close around10pm. As one of the leading retail destinations in Asia Hong Kong knows how to benefit the consumer and they have ways to make things easier for the vendor as well. One of these consumer-vendor conveniences is the grouping of same shops into large markets, which is aHong Kongphenomenon that also occurs in shopping malls. In Mong Kok alone, there are six main streets of shops selling similar goods and these include Ladies Market,Fa Yuen Street, Flower Market,Yuen Po Street,Goldfish StreetandSportswear Street. After purchasing a lovely wriggling fish in a plastic water-filled sealed bag to add to my aquarium at home (my ideal pet – much more self-sufficient and autonomous than other creatures) – from one of my favourite streets in Hong Kong, the northern section of Tung Choi Street called Goldfish Street – I head back to the west side of Mong Kok. Here the urban renewal invasion is as plain as the nose on your face, with the cloud-busting business and commercial towers ofLangham Placeovershadowing the busy local markets and construction stores below. Opened back in 2004, the massive complex changed thi8e area completely and now there are luxury residential developments popping up all around the district as well. The same kind of development has been taking place nearby in westKowloonas well, which I head to on a bus with my new fishy companion soon after. 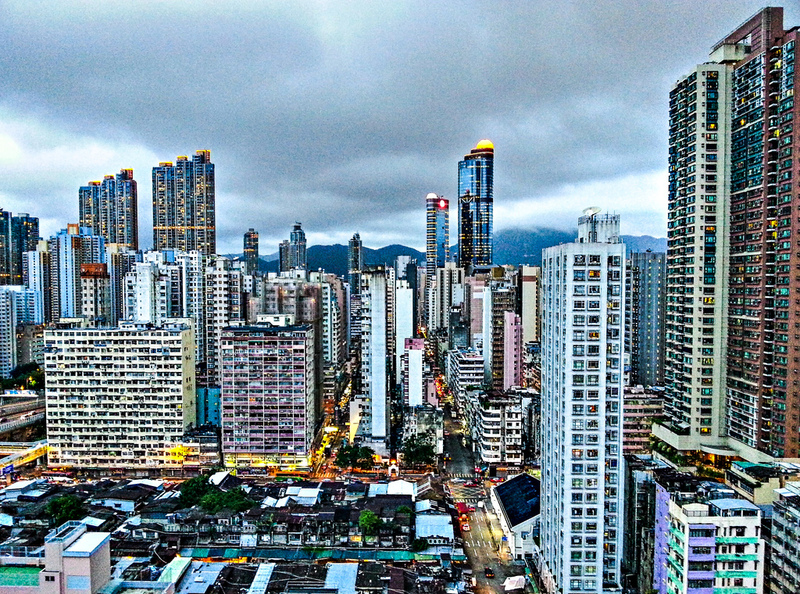 Home to the tallest building inHong Kong(and the highest bar in theAsia) plus a horde of luxury residential buildings, westKowloonhas been the focus of government development for many years. While there are plenty of business and finance ventures in the neighbourhood already, the government’s latest pet project underway in the area is the West Kowloon Cultural District which, after many years of pushing culture and creativity to the side, has suddenly come to the forefront as quite possibly the government’s biggest cultural contribution ever. Lucy Richardson, managing director of the leading local architect and designer recruitment firm Bespoke Hong Kong, points out that the government has always concentrated on six key fields, which include testing and certification, medical services, innovation and technology, culture and creative, environmental and educational services. “In the last five years the government have started to strongly push the cultural and creative market. The westKowlooncultural hub is a key part of this and will be full of exhibitions and theatre, plus art galleries and creative-related venues. The government is pumping a lot of money into this cultural district,” she says. The value to be pumped right now is at $21.6 billionHong Kongdollars. However, what exact effect this massive multibillion project will have on local culture is up in the air and though the architect and founder of G.O.D. Douglas Young is also optimistic about the project, he says it will not be complete for a very long time. As the sun sets and a turmeric-tinted fluorescence begins to enshroud the city like an infected yellowing flavescent wound, I head back home with my fish and ponder about what the cultural identity ofHong Kongactually is.Hong Kongis a place that is both somehow very Asian and very western at the same time. It is a place that can feel eccentric surreal, ultramodern, cute and time-honouringly traditional – all within the same instance. It is a fast city that is quick to embrace change. Like a hyperactive chameleon with a permanent attention deficit disorder, it is a place that reinvents itself on a daily basis, where new skyscrapers rise in the blink of an eye and where neighbourhoods change overnight. But it is also a city rich in culture where traditions are vehemently respected and upheld, and where traditions have managed to fit in with the new. Some have said that theHong Kongof old is under threat, but in fact it has simply shifted and found a new space within the world of new. Today inHong Kong, locals can be found playing Mahjong on their mobile phones; time-honouredHong Kongdishes can be found in fast food restaurants; and some Starbucks venues are even being decorated in the style of classicalHong Kongcafés. 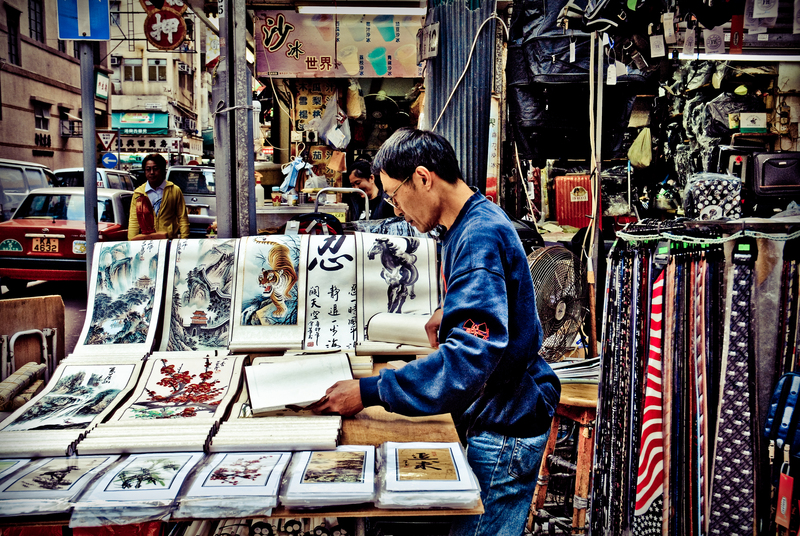 Of course, like Yau Ma Tei, there are also many genuine old parts of Hong Kong that are still living on as well, and with heritage under threat, the cultural identity of many Hong Kongers has grown stronger, with preservation efforts now in place in the deserving parts of the city. 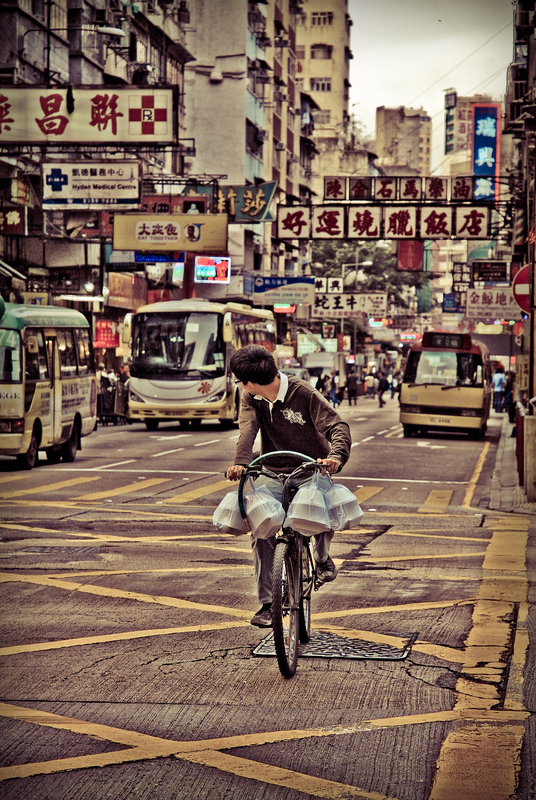 However, welcoming the new is an integral facet of Hong Kong culture as well and, like a boy budding into a man, Hong Kongers have learnt to accept the fact that as the boy grows older parts of him will change but, at the end of the day, ultimately he will still be the same boy underneath.